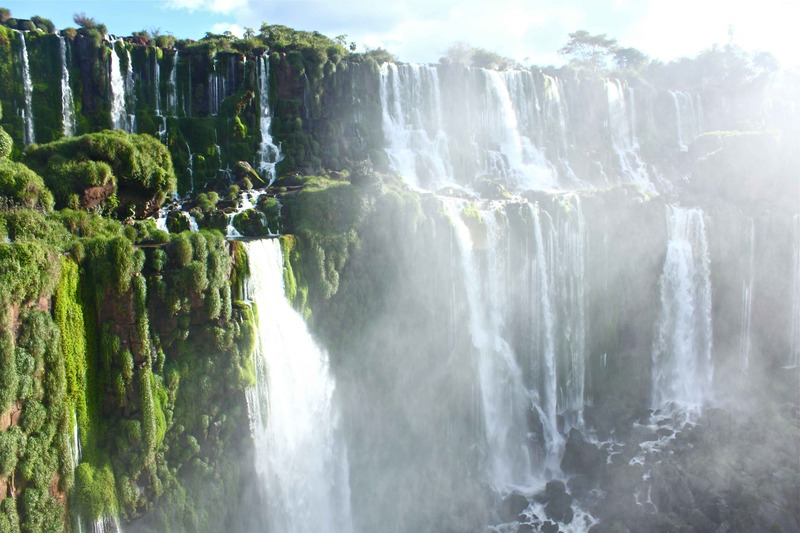 When we’d originally been planning our trip through South America, I had been dubious about visiting Iguazú Falls. I mean a waterfall is a waterfall, right? I couldn’t have been more wrong. 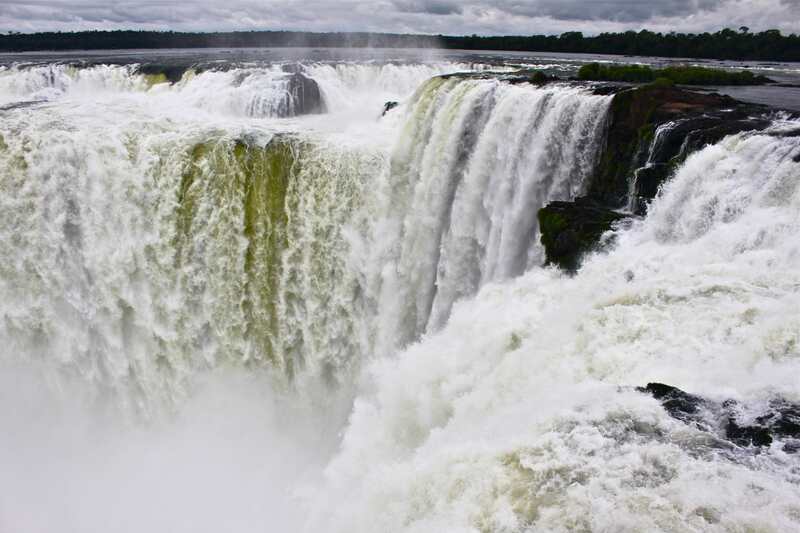 Roughly translated ‘Iguazú’ means ‘Big Water’, and with an average water flow of 1,746 m3 per second, it certainly has to be seen to be believed. 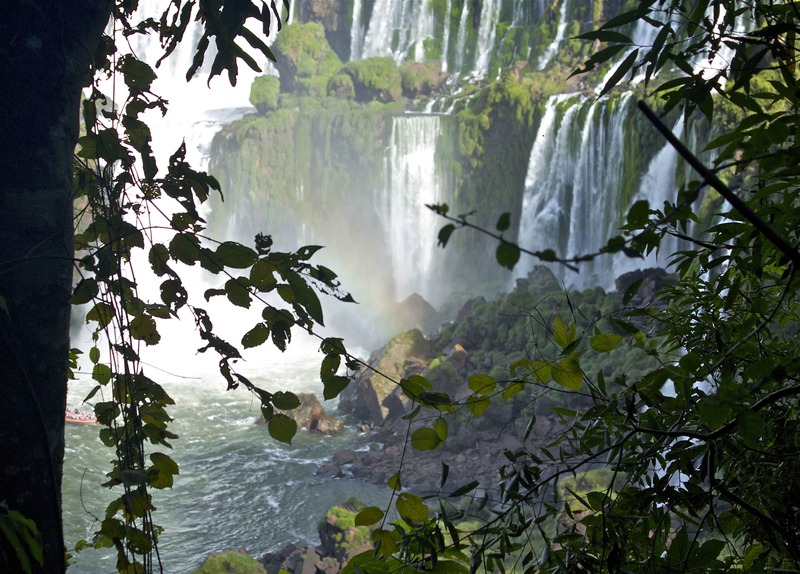 For those who don’t know, Iguazú Falls lies at the border of Argentina and Brazil. 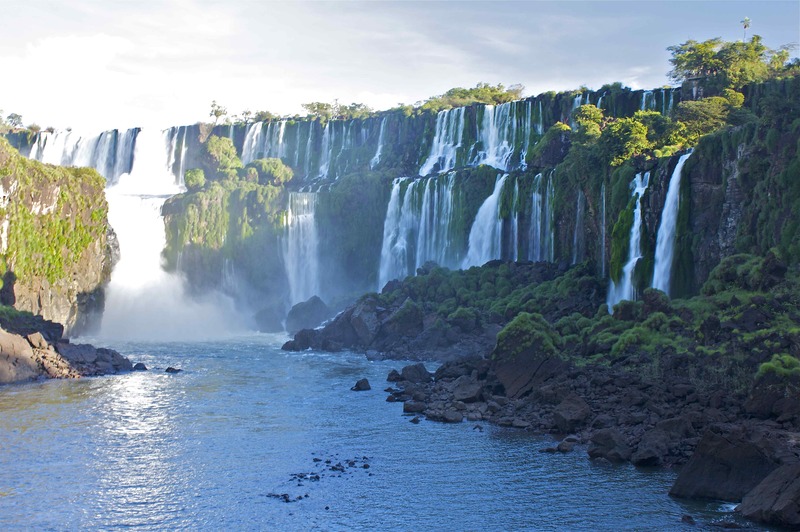 The main waterfall can be viewed from the National parks on both sides (each park is a UNESCO World Heritage Site), however two thirds of the falls are located on the Argentinean side. 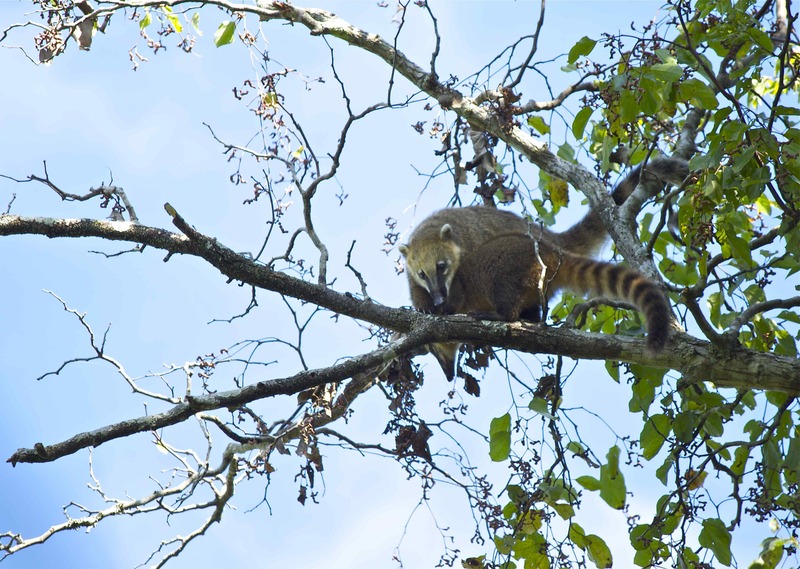 We decided to spend 2 full days exploring the Argentinean Iguazú National park as we’d heard that there were numerous jungle walks in addition the main waterfall attractions. We began our first day with a trip to Devil’s Throat. Like the name suggests, this is where we were to see the true force of Mother Nature at work and the point at which half of the river’s water thunders down a U-shaped cliff 82m high, 150m wide and 700m long. To put it bluntly, we were going straight for the jugular. Funnily enough, the walk along the bridge to the look out was quite deceiving of the impending drama we were to face, neither giving away the roar of the falls nor the sheer power of the water rushing over the edge. Therefore, it is quite a gob-smacking shock when you finally do peer over the edge (albeit it a little unsteadily) and look down at the crash and tumble of the washing machine below. However, for us the most beautiful spectacle was wandering the forest bridges to the side of the Devil’s Throat, where numerous subsidiary waterfalls fall over iridescent lush green moss and ferns. These falls and the surrounding greenery look like they’re straight out of the Garden of Eden. 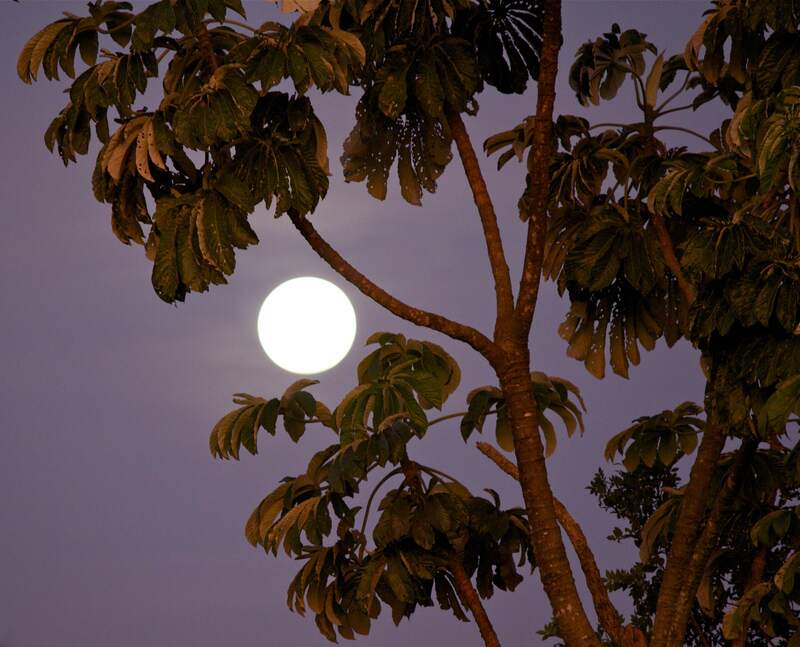 Amazonian rainforest grows wild and thick in these parts and the mist in the air creates the perfect environment for all sorts of rare orchid species not found anywhere else on the world. If it wasn’t for the hordes of tourists, you’d almost be tempted to strip off bare and become one with nature…almost. 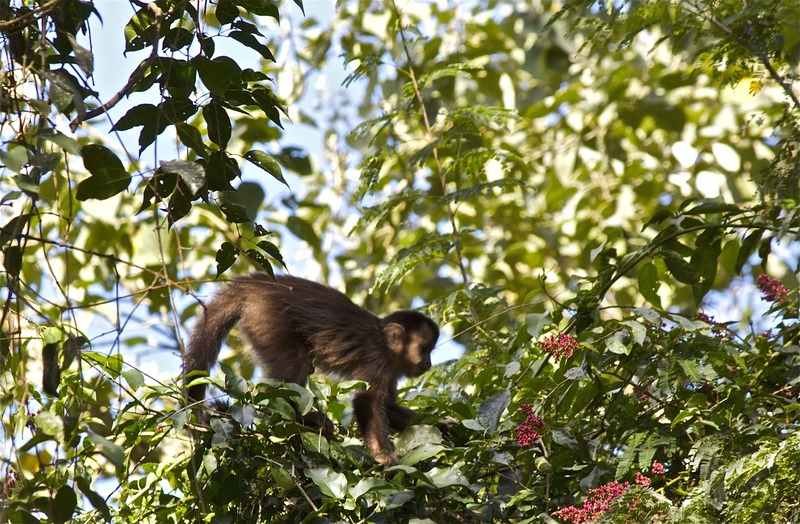 Another very worthwhile activity in the park is strolling along one of the many walking tracks in the rainforest. Most take a couple of hours, so it’s worth bringing a packed lunch. 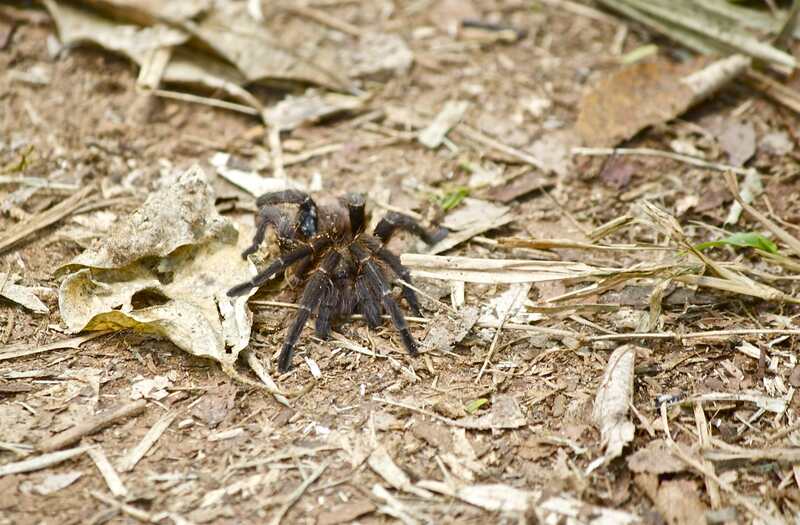 We were treated to a vast array of Amazonian wildlife, from monkeys swinging from branches, to huge blue butterflies the size of your open hand and even a large black hairy tarantula sitting still in the middle of the track! If you stop and stand still for a few quiet moments, the forest truly comes alive. For us, we were on the search for a Tucan. There’s something about these cartoon birds that makes them look like they’ve come straight from a children’s colouring book. But they were nowhere to be found…until we were on the way out the park gates and we heard the most unusual sound – a cross between a crocking frog and a cricket. The GLG (who had been channeling Bear Gryills the entire time and carving tiny bamboo spears with his new Swiss Army knife) ran ahead to see what the commotion was about. He came back like an excited kid in a sweet shop – we were going to see one after all! 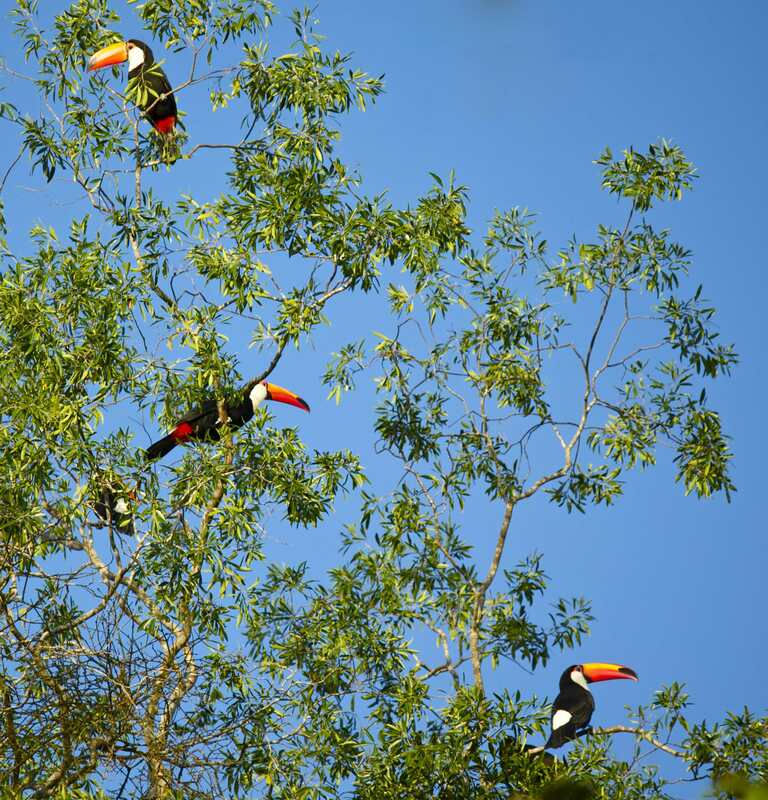 In fact, we didn’t just see one; we stumbled on an entire tree full of gurgling red and yellow Tucans. What a magnificent sight! We had to wipe the smiles off our faces and pinch ourselves to see if we were dreaming. If I can, you can, we Tucan. 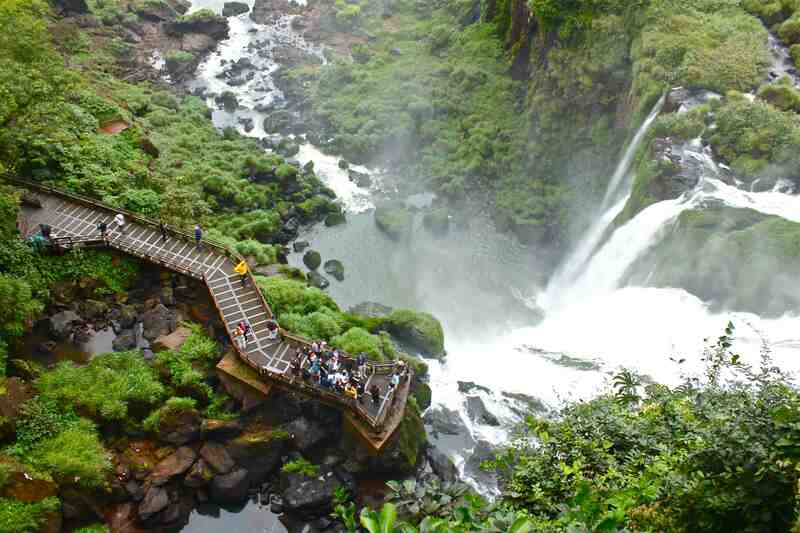 This entry was posted in Adventure and tagged Argentina, Brazil, butterflies, Devil's Throat, falls, Iguazu Falls, monkeys, tarantula, Tucan, waterfalls. Bookmark the permalink. 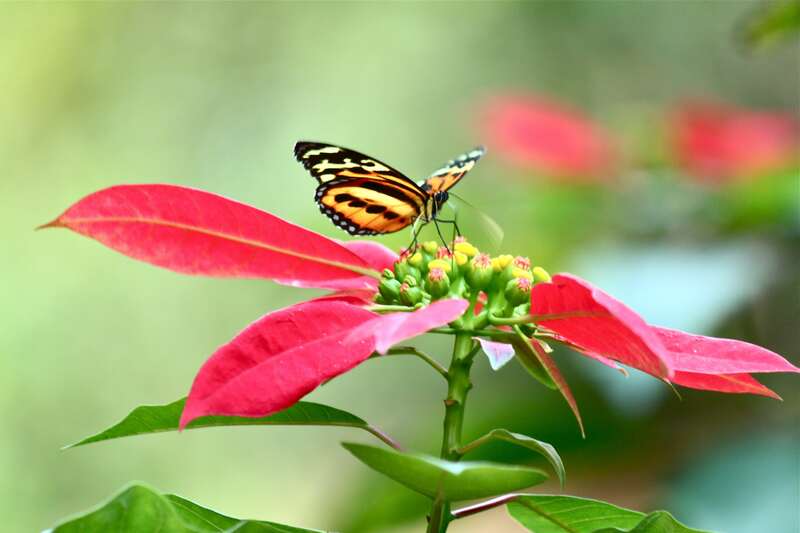 we enjoy here in Germany the great pictures of the magnificent waterfalls and the wonderful animal pictures. For you and us very nice impression of a fascinating nature. A masterful photographic performance! 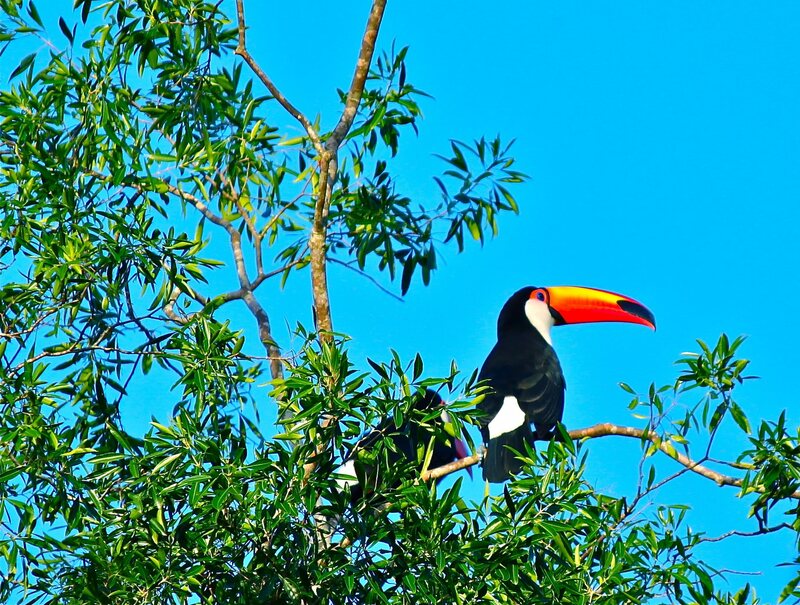 I can, you can, Tucan – great entry and pictures, Iguazu rules! Hope you arrived safe in South Afrika. Your trip looks so good! Tucan=amazing. They look totally unreal! Wow!